Socialite Bryan White's dark Range Rover on Saturday was involved in an accident that left one dead, efforts of taking the victim to a nearby health facility did not help as the sand dealer was pronounced dead on arrival. His body was taken to Rwanda on Sunday. 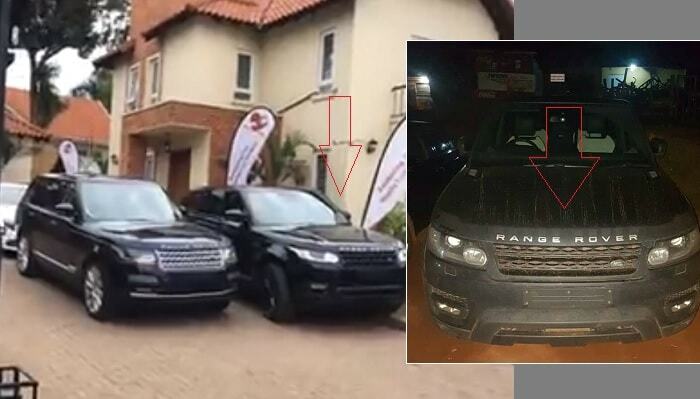 A case has been opened up at Kabalagala Police station where the motorcycle and one of the Range Rover's have been impounded. Police has also confirmed that the driver of the navy blue Rover is in their custody. 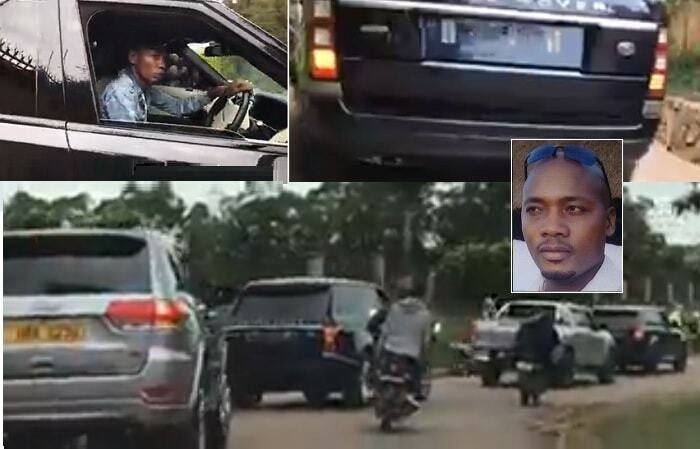 Bryan White normally moves with a police lead car in the company of military police officers plus a number of boda-boda's clad in Bryan White reflector jackets as he drives through the city, its not clear if on the fateful day, he had the police lead car. Friends to the deceased are now tasking the authorities to explain why Bryan White drives the way he does and yet other high profile ranking people don't behave the way he does while on the roads. On Wednesday, motorists on Entebbe Kampala Highway were forced to pave way for his convoy as he rushed to Gayaza from Entebbe Airport where he had dropped kick boxer, Titus Tugume, who was heading to the US for a fight. He gave him over US$ 5,000 in sponsorship fees. Bryan White's convoy on that day comprised of two black numberless Range Rovers, a police lead car, two Super Custom Bryan White vans plus a Toyota Hilux, Jeep Cherokee, Subaru and about 20 boda bodas. This is coming at the time after he had been cleared of attempted murder charges following a one Victor Bitwire who was shot at outside his Munyonyo home, but they were able to settle this particular case out of court.